The versatility of ceramic tile allows you to be creative and customize almost any area in your home with the abundance of options. When considering ceramic tile, determine what your needs are for the area to be tiled, as well as the room’s style, layout and overall character. Glazed Ceramic Tile: These tiles are coated with glass-forming minerals and ceramic stains. Typically they have a matte, semi-gloss or high gloss finish. 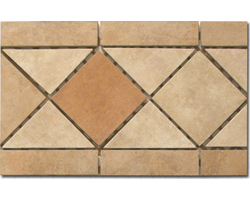 They offer better stain and moisture resistance than unglazed tile. 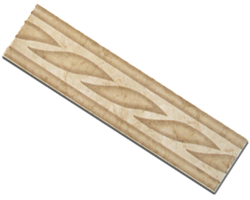 Unglazed Ceramic Tile: These tiles are very hard and dense. They come in various surface treatments and textures. Typically these are installed outside as they do not offer much protection against stains compared to Glazed Ceramic Tile. Unglazed tiles do have good slip resistance, however they do require sealing to prevent staining. Porcelain Tile: Porcelain is the hardest and densest tile you can buy. They can withstand temperature extremes. The color in a porcelain tile goes all the way through. These tiles are non-porous and resist scratching.